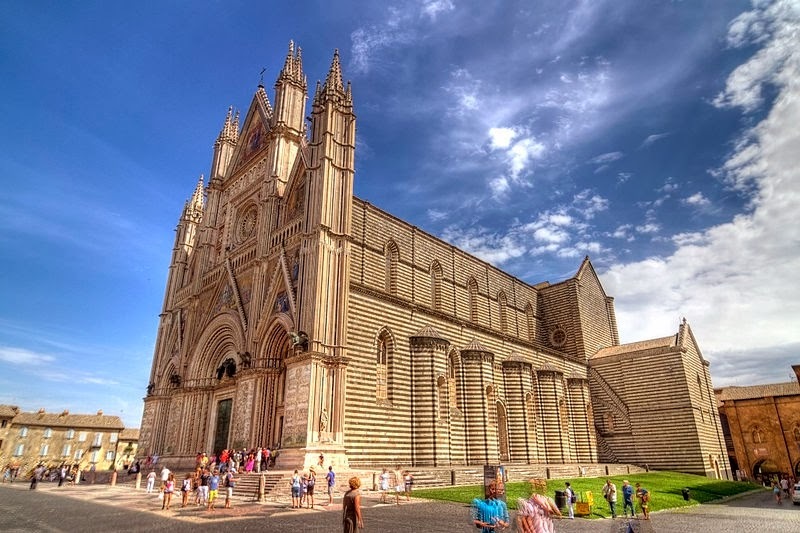 The building of this Roman Catholic cathedral in northern Italy started in the 13th century. 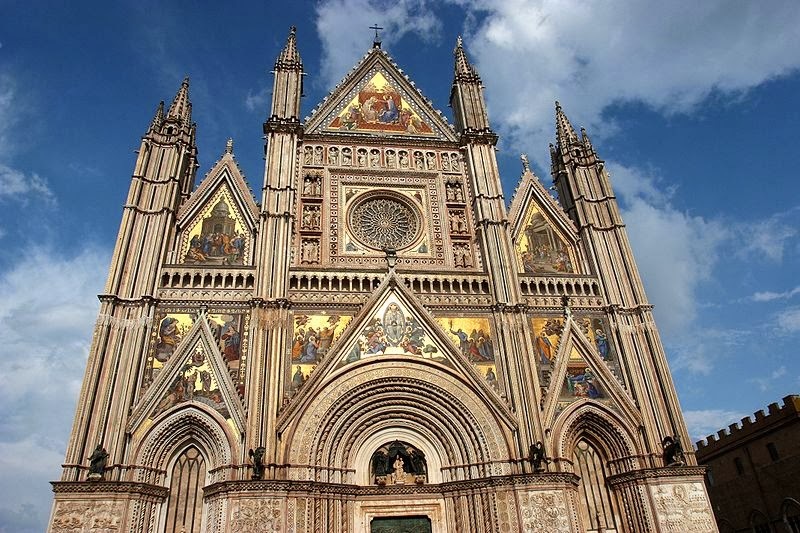 Maitani's Tuscan Gothic facade recalls the cathedrals at both Siena and Florence. Cesare Nebbia designed the original mosaics from 1350-90. Just like with St. Mark's Basilica in Venice, Salviati's craftsmen also restored the mosaics on the upper part of this cathedral's facade sometime before 1883. 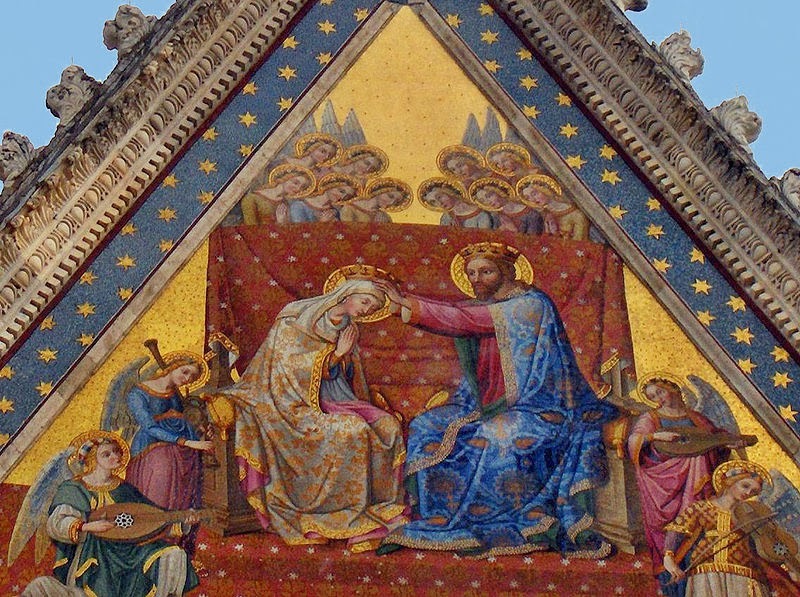 The Coronation of the Virgin on the topmost gable. Art Notes. NY Times. February 4, 1883.